I have published over ten books beginning in 2006' with the "Little Black Book of Economic Development" - An Award Winning Best Seller and #1 in my genre, and now I am focused on the culmination of my professional experience in my Next America Series of Books. "The Little Black Book of Economic Development" in 2007' by Xlibris a Division of Random House Publishing. It was published by Xlbiris-Random House. My first book was an expose on the insider industry of doling out government economic incentives to companies in order to attract them from one community to another… (Economic Development). It laid open the very behind the scene clandestine operations of this boardroom closed door negotiation process, and I had over 50 elite industry insiders interviewed to share their thoughts about the positive and negative of this process. Yes, it has been a #1 best seller for several years in the Economic Development and Government policy genre on Amazon and Barnes & Noble. About ten and I have four still in the edit process right now. I try to publish about one per year now. 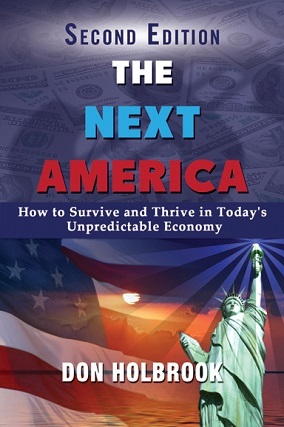 "The Rebirth of the American Dream"
"The Next America-Surviving and Thriving in anUnpredictable Economy" - 2nd Edition (my current book) March 2014 by Motivational Press. 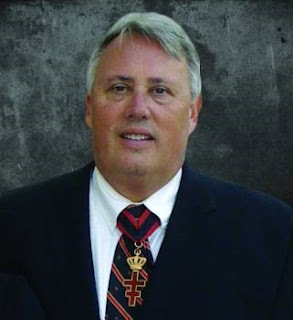 My first major fiction novel is due to hit the press December 2015- "The Ninth Templar"-Book 1. This is a modern adventure thriller that is based upon the discovery in 1128 made by the Knights Templar Order under King Solomon’s Temple in Jerusalem. It tells the tale of how they eventually were betrayed and many murdered so that the Church and the King of France could obtain their precious treasury and secret discovery. But the secret and the treasure were never found… it moves to modern times and the Ninth Templar heir must discover his true identity and then why everyone is trying to kill him and then solve the mystery of what needs to be done to find the secrets and solve the mystery so that humanity will not perish. Every American needs to understand what things in America need to be changed and what things need to be restored and/or improved upon. If you do not know what is broken and why, and you cannot explain that to others with a simple and factual description of how to fix such issues you cannot advocate effectively. People will just label you as another ranting activist. All of us (We the People) need to understand that we are either part of the problem or part of the solution. My book is a great guide and simple written tool to explain what changes we must make to preserve America as a capitalist nation and not succumb or slowly slide into socialism. Everyone can and should have the opportunity to participate in the American Dream, but without action now we will lose that ability in the next few years. I want us to all act collectively to make the changes that will rebuild the American Dream for all of us not just the elite 2%. Blog Writer's Note to Author: I can tell you have a lot to say. I have to admit that you have definitely given me a lot of food for thought. The American Dream often times feels like an unreachable illusion, but I have to admit that I haven't always done my part to try and fix what is broken. So I guess I am somewhat to blame, along with many others. I will definitely be checking out your books. Good luck with your writing and thanks for the interview.